Human Male Athletic Version 2 Base Geometry. 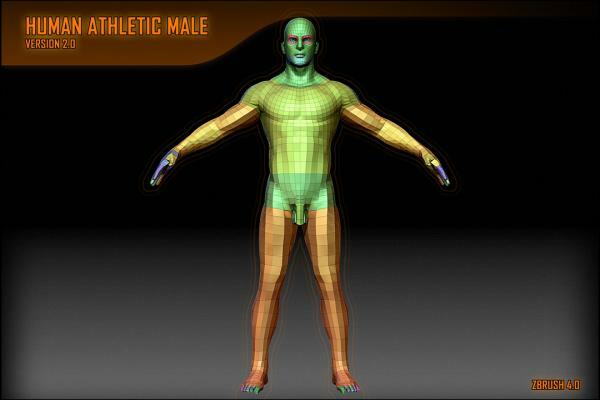 Here is the latest base geometry for my new Human Male Athletic Version 2. ZBrush file. namrettek (6 years ago) Inappropriate? psycoderek (7 years ago) Inappropriate? jaumett (8 years ago) Inappropriate? Driker (8 years ago) Inappropriate? opoiak (8 years ago) Inappropriate? astralfear (8 years ago) Inappropriate? Ghostman (8 years ago) Inappropriate? witchdidi (8 years ago) Inappropriate? Nick Zuccarello (8 years ago) Inappropriate? I made an overview video to show how to use this mesh and to show some of the changes that I made from the last version.